A high quality paddle with nylon blades and Duralumin 3 piece shaft. Ideal as an emergency paddle. 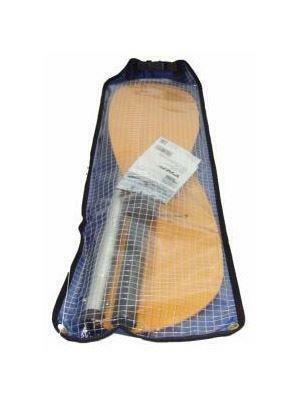 Supplied in a roll top waterproof bag for storage in the back of your boat. 3 Year parts guarantee. High quality emergency paddle complete with it's own drybag for storage. Left / right handed.